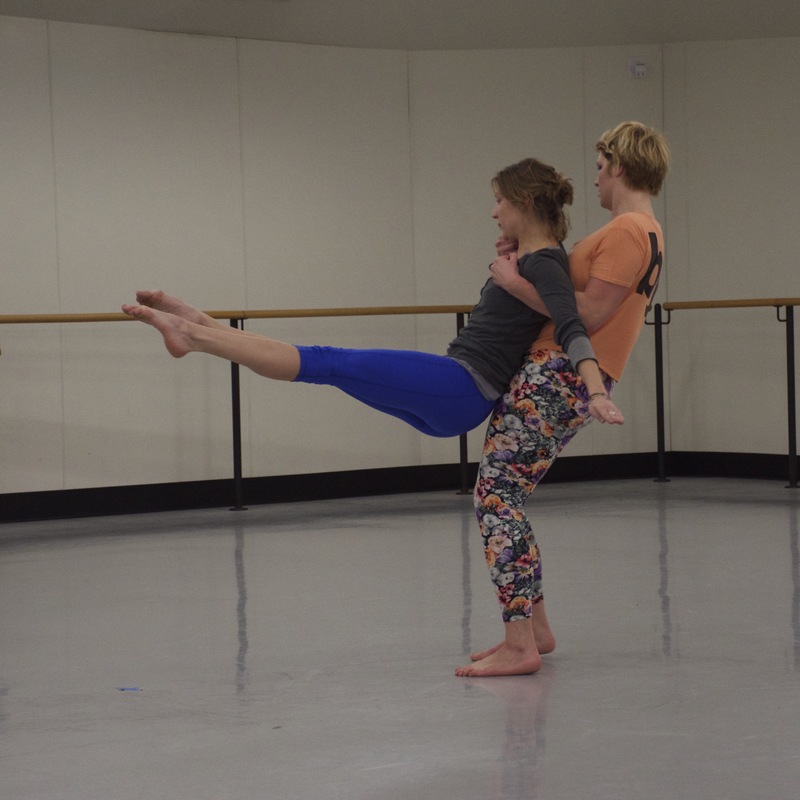 During rehearsal, dancers practice many of the “phrases” that go into the pieces that make up “A Body in Motion.” This particular phrase is one of many that involve two dancers depending upon one another. In this case, Jordan has his hand behind Aisha’s neck, while her own arms are lined up horizontally with her body. What do you notice about the dancers? What are the observations that you think are important? What forces are acting on the dancers? Where do those forces come from? We often say that forces come in pairs. What do you think these “pair forces” are? Why are they important to Jordan and Aisha? Do you think the dancers are holding still, or are they in motion? How can you tell? 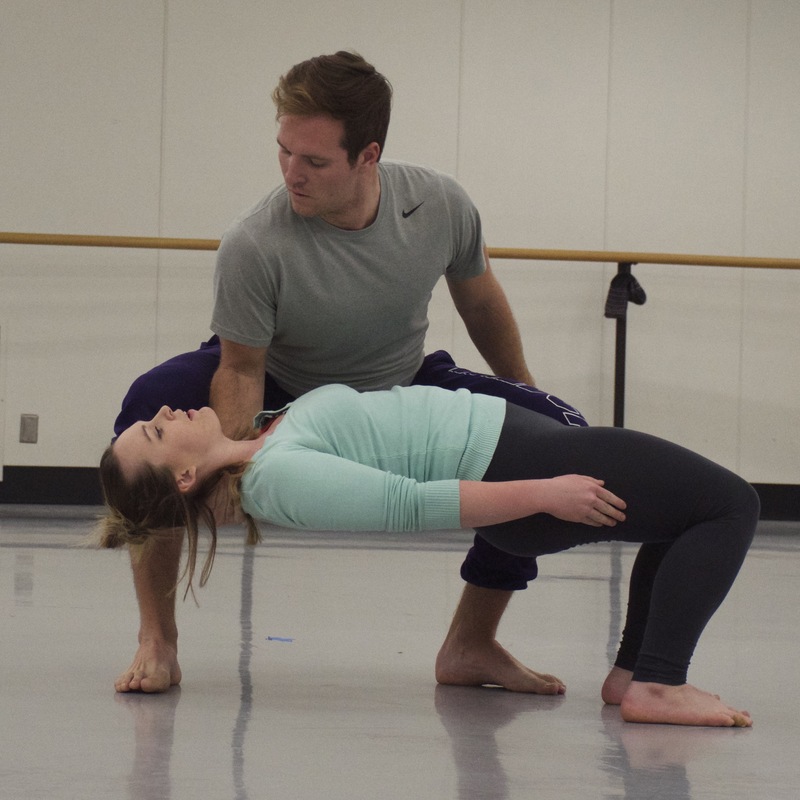 What does it feel like to be either of these dancers?